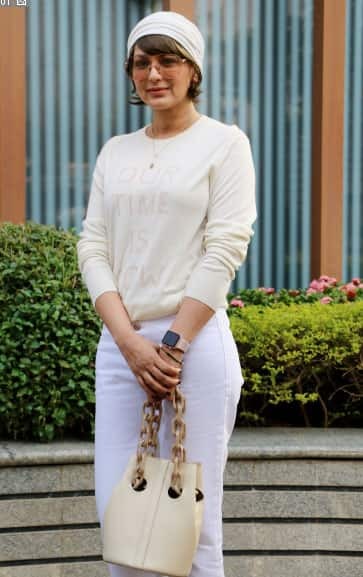 The stunning Bollywood actress Sonali Bendre, who was undergoing treatment in NYC for high-grade cancer that had metastasised is back to the bay and recovering well. The actress returned to Mumbai sometime back and even thanked fans for showering her with immense support. The actress had announced about her illness on social media, leaving fans, friends and family in a state of shock. She recently was spotted outside the Facebook office where she had gone for a discussion as part of her Sonali Book Club (SBC). In fact, her son Ranveer Behl too is an avid reader like mother and actively participates in her book club. The actress put up a brave front and shared inspiring notes and her pictures sporting a bald look. She is a voracious reader and even runs a book club on her name. She is a voracious reader and even runs a book club Sonali Book Club (SBC) on her name. Sonali Bendre is a stunner! 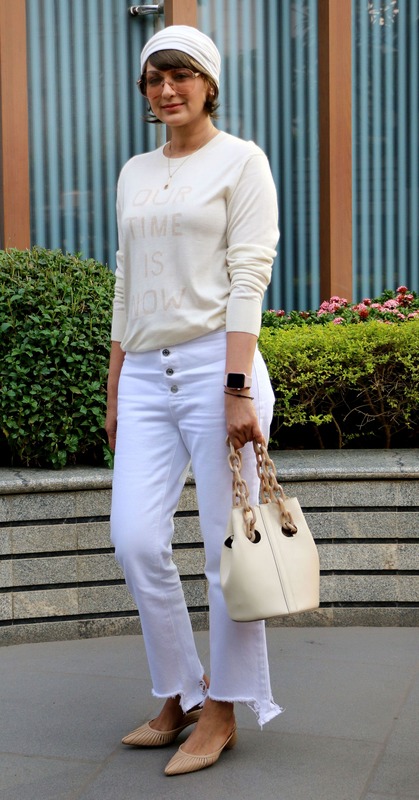 Sonali Bendre strikes a pose! Photo Gallery: Kareena Kapoor-Taimur Ali Khan and Babita make for a stylish fam jam!